The Night I Killed Santa! They found him in an abandoned warehouse just two weeks before Christmas. He was alone, dressed in a Santa costume. He was in a coma. He had no identification on him. 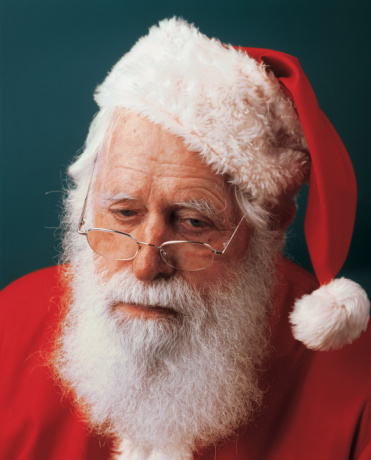 I first saw “Santa” in the emergency room shortly after he had been admitted to my internal medicine team. His blood glucose was 32. Normal is anything above 90 and less than 120. When you get below 50, you’re approaching a comatose state. We had no idea how long he had been like this. I chose to admit him to the intensive care unit until we could get him stabilized. Shortly after bringing him to the ICU from the ER, he coded — medical jargon for cardiorespiratory arrest. In other words, his heart stopped and he died. We worked on him for a good hour and managed to get his heart beating again but he had trouble keeping his blood oxygen level up so I decided to put him on a ventilator. It was the last free ventilator in the hospital. That was when the fun began. Let me elaborate. Bed 1 contained a man weighing 780 pounds. We tied two hospital beds together to hold him. He had been admitted to surgery for removal of a hernia so large, he had carried it in a wheelbarrow. But, the surgeons had no idea how to maintain the fluid balance of a 780 pound man so he developed fluid on his lungs. He coded at this moment and my team of medical students and the other intern starting working on him. I remember one of the medical students literally perched on the huge man’s chest pumping on his heart with her knees! Bed 2 contained a man with delirium tremens. As soon as Bed 1 turned south, the man decided to pull out his Foley catheter without deflating the balloon. He was whirling the catheter with its balloon the size of a grapefruit around his head like a lasso while chasing one of the nurses. He was spewing bright red blood from his, uh, privates all over the floor. Bed 3 contained a prisoner from the local jail. He had “overdosed” and was now in a “coma”. He had been in a “coma” most of the day although we suspected he was faking it just to stay out of jail. He had overheard me talking to the psychiatrist earlier saying as soon as he woke up, instead of admitting him to the psychiatric ward for treatment of his “depression” we would send him immediately back to jail. In the developing chaos, he woke up, opened the window and climbed out on the seventh floor ledge to kill himself. He was going to prove he was suicidal. Bed 4 contained a medical student in her mid twenties. She had “converted” her PPD, meaning that sometime since starting medical school she had been exposed to tuberculosis and her skin test proved it. She had been placed on prophylactic medication which had proceeded to destroy her liver. She was currently in “hepatic encephalopathy” meaning she was delirious from all the ammonia building up in her bloodstream from her failing liver. She started screaming at the top of her lungs and trying to tear out of her restraints. Bed 5 contained an elderly woman dying from ovarian cancer with fluid buildup in her lungs and her abdomen. Her protein was so low in her blood, we had to keep her in ICU to build her protein back up. She was on a ventilator. Bed 6 contained a man recovering from a massive heart attack. As our CCU, or cardiac care unit, was full, he had been moved to the ICU and was also on a ventilator. He was only 38 and currently sedated so he wouldn’t fight the breathing mechanism of the ventilator. Bed 7 was currently empty. The next two hours were the most chaotic I have ever experienced in my many years of medicine. The 780 pound man died. The fellow in DT’s slipped on his own blood, fell and was taken to surgery for a subdural hematoma, a blood clot on the brain. The medical student began vomiting blood and we had to call in the gastroenterologist to try and scope her and find the source of bleeding. The psychiatry resident closed the window on the prisoner after telling him if he was still on the ledge in the morning, we would send him back to prison assuming he didn’t freeze to death. Otherwise, he could climb back inside and get sent back to prison without frostbite. It was now 3 in the morning and I went to check on Santa. His status had not changed. He had not awakened. We still had no idea as to his identity. It was then the next admit rolled into ICU, a young woman in diabetic ketoacidosis. This is a state where the blood sugar is so high the patient becomes delirious and is in serious danger of dying. To top it off, the young woman had developed a rare complication, ARDS. This affected her lungs which were filling up with a proteinaceous material. If we didn’t get her on a ventilator soon, she would die. But, there were no ventilators left in the hospital. That meant I had to make a decision. 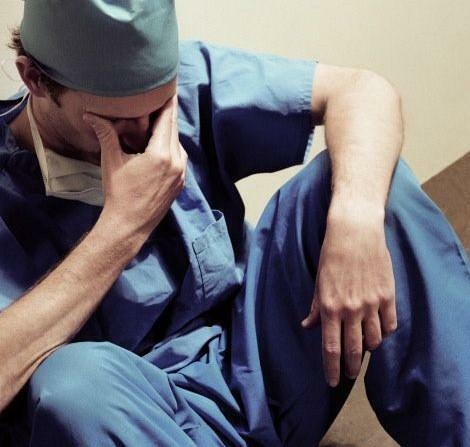 In that day’s medical environment, most people don’t realize the loneliness of being the doctor on the spot. We are trained to make these kinds of decisions; to weigh life and death scenarios in a split second. Our current medical environment has taken that choice away from doctors and placed it in the hands of administrative individuals whether in the government or with an insurance company. These faceless, sterile, uncaring individuals sit behind a computer screen scrolling through a “cookbook” of these scenarios and deciding whether or not the doctor can make the appropriate decision only the doctor is trained to make. But, back then, the doctor was the final decision maker. The doctor, whether he liked it or not, was God. I stood there faced with the inevitable prospects of taking a ventilator away from one of my patients. Who would it be? And, I had to make the decision quickly. For the young woman to survive, someone would have to die. Who then? I stepped into Santa’s cubicle. He was still wearing the red pants and his bare chest rose and fell with the ventilator. I shooed the nurses and medical students out of the room. This would be my decision and mine alone. I turned off the heart monitor and slowly removed all the wires and EKG patches. I pulled his red Santa coat up and buttoned it over his chest. I removed the IV lines from his arms and straightened his long, white beard down over his chest. He had been wearing a tiny set of reading glasses in the warehouse, and I put those gold hued glassed back on his nose. For all the world, he looked like a sleeping Santa Claus save for the tube coming out of his mouth. I reached over and turned off the ventilator and slid the tube out of his throat. The respiratory technologist whisked the ventilator away and I reached down and took the man’s hand in mine. I felt for his steady pulse and waited as it slowed until it vanished. I will never know who this man was this side of heaven. I will never forget the pain of making that decision even now 31 years later. I will never forsake another human being in the moment of death. We come into this world alone and are instantly embraced by family. But, death is a lonely experience. Even surrounded by loved ones, only we can experience the ultimate journey. But, we are not alone. God sends his angels to usher us into heaven. I have heard so many stories of men and women seeing the divine at the moment of death. There is that comfort. Two people died recently whose deaths are significant to me. One was Christopher Hitchens, a radical, outspoken atheist who wrote the bestseller “God is Not Great”. He now knows the ultimate truth. And the other was Steve Jobs. Steve Job’s sister tells of his final moment of life when he sat up in bed, looked over her shoulder and said, “Wow, wow, wow.” Did Christopher Hitchens say something similar? I do not know. I only know this. The night I allowed “Santa” to die so that a young woman could live, I learned the most powerful lesson in the world. It is the lesson of Christmas. It is the heart of the Nativity story. It is the fulfillment of man’s journey through darkness and evil. It is this. Someone had to die so that we could live. Jesus was born to die. The babe in the manger was overshadowed by the cross from the moment he drew his first breath. This Christmas season, pause and look around you. Notice the unnoticed. Feed the unfed. Bless the unblessed. Love the unloved. Find the babe in a manger that cries in hunger. And, ultimately, share a love that is so profound, so deep, so unfathomable that because of that love He drew a cold breath in a manger only to breath His last breath on a cross for all of us. I was asked to write a monologue from Mary’s memories for Brookwood Baptist Church’s event, “Joy”. 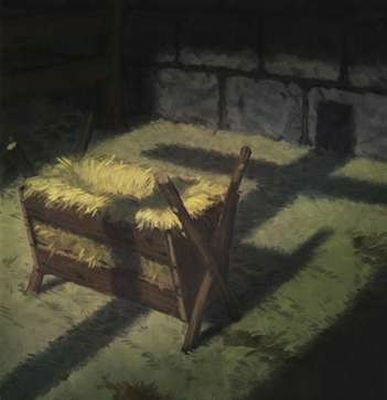 Now that it has been performed, I want to share it with you on this first day of December as we count down the days until we celebrate the birth of our Savior. Mary is sitting on a stool that looks hand made. She is sitting beside a table that appears hand carved or hand made. She picks up a hand carved animal and seems to study it. No parent should ever have to bury their child. Ever. When you hold your newborn baby, you never imagine the end. You only think of the beginning. All is fresh and new and tomorrow is forever. She puts the animal back on the table. I heard about my new baby from an angel. Really! You don’t believe me, but that is just fine. An angel told me I was going to have a baby boy and even told me what to name him. I couldn’t tell just anybody. They would think I was crazy. After all, I was so young, so innocent and already engaged to be married. Yeah, engaged. My husband was a good man. Hard working. Dedicated. Loved the Lord. He didn’t tell me about his angel until he was dying. Told me an angel visited him and told him to marry me no matter what. He listened to the angel and he listened to his heart. He loved me. And, I loved him. He was such a good father. She picks up the animal again and paces as she talks. There was that time we lost my son. We were traveling and you know how you always have this fear that your child will wander away and get lost. I mean he was 12! And granted a 12 year old should be responsible but for days we thought he was playing with the other guys only to discover we had left him behind in the city! I should have known he would be different. What kind of child comes with the birth announcement of an angel? He wasn’t hanging out with the other guys or hitting on the girls. He was in the church talking to the heavy thinkers; you know, the philosophers, the historians, the theologians and here I’m going to have to be a little proud and not so angry when I tell you that he was more than carrying his own weight. Some of these very intelligent men were astonished at what my son knew. Mary goes back to the stool and sits down. She places the animal on the table and becomes very thoughtful. Of course, his brothers and sisters never really liked him that well. They all knew he was different. That’s why that time at the feast I tried to stop them. They thought he was crazy. I tried to explain that their brother was not crazy; he was not delusional; he was special. God had His hand on my son but they insisted on going and the words they spoke about their brother! I can’t tell you how many times since then they wished they could take those words back. When you’ve said something so hurtful to someone you love and then they die . . . well, you can never find peace again. Mary suddenly grows very proud of her son and motions to the table. I have this table, right here, see? It is small and not exactly perfect but my son built this for me right after he turned thirteen. And, this stool I’m sitting on he made when he turned twenty. But, all of his glorious skill with working with wood ended when he turned thirty. He stopped shaping the hearts of trees and began to shape the hearts of men. My husband once told me that a man should be happy if he has raised someone smarter than himself or more successful than himself. He never had the opportunity to here our son speak. Such words! I once watched him carving a limb — an old, gnarled piece of driftwood from the sea of Galilee. He started out just looking at it and studying it. And then, he began to cut away the dead twigs and strip away the rotten flesh. And, then he exposed the beautiful swirling pattern of the heart of the wood. 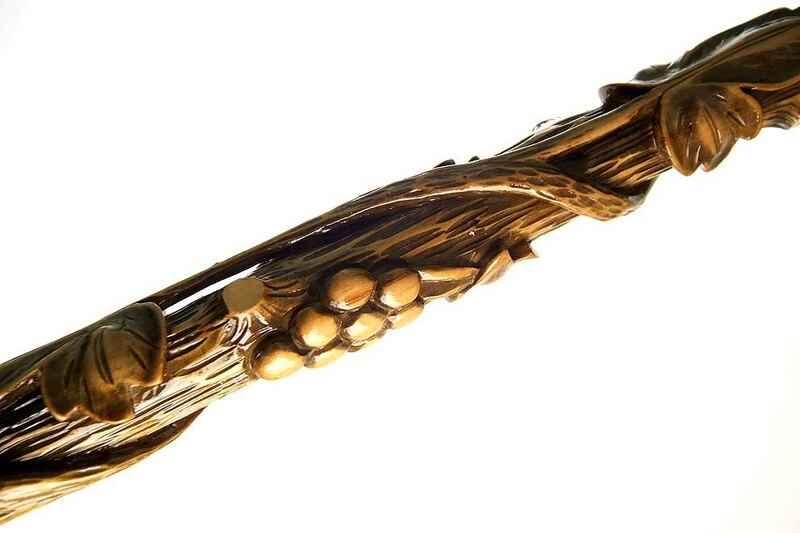 He polished it and sanded it and coated it with oil and wax until the limb became a beautiful walking stick for my father. How did he see what was inside that broken, gnarled and discarded piece of wood? Only the Lord could show him the potential of what lay inside. He is that way with words. He sees into the hearts and minds of men and women and the words that cut to the quick; that expose the hurt; that sooth the pain; that heal the wound; or that prick the recalcitrant heart and those words are sharper than a two edged sword. He is the word. Yes, the very word of God. And, yes, it would be His words that brought about his downfall. The wrong words were spoken by his brothers and they hurt him. But, the right words were spoken by my son and they killed him. 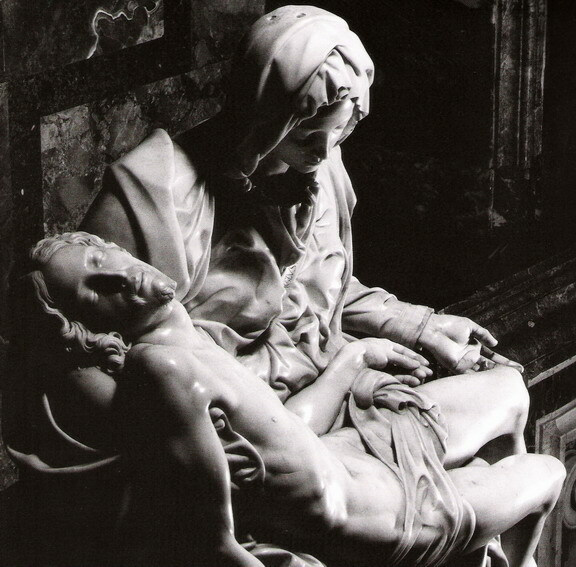 Mary looks up as if looking at Christ on the cross and hugs herself in pain. I was there when he hung on the tree — irony of ironies he should die on the very wood he spent his life shaping. My heart was broken and I remembered the first night I held him; cold, wet; crying and hungry as angels filled the night and shepherds bowed at our feet and the skies sang with a thousand hosannas. 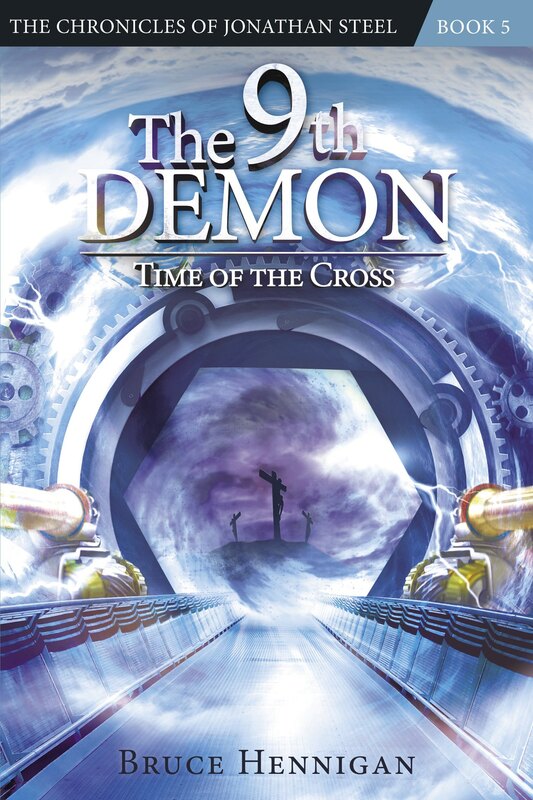 She unfolds her arms and gestures to the “cross”. But, where were they now? Where were the angels as he bled on the cross? Where were the lowly shepherds who fell at his feet? Where were the songs of praise and triumph? They were gone. The angels, like his heavenly Father, turned their backs to him in his hour of greatest need. The shepherds did not bow at his feet but hurled insults and bitter hatred and cried “Crucify Him.” And the songs of praise were replaced with a silence so profound, so deep it covered the earth with its sorrow. Mary stumbles back in pain and sorrow and sits roughly on the stool. She mimes the action of them placing Chris in her lap. As she talks, she touches the wounds on his head, touches the wound in his side, touches the wounds on his hands. I held him in my lap just as I had as a baby. He was cold; wet; but he no longer cried and he no longer hungered. His lifeless body sucked the very life out of the universe; the creator born of my womb; drinking from my body now limp and helpless in my arms. God had been born. God had died. And, I had been the bookends of His life. Mary relaxes and turns back to the table. 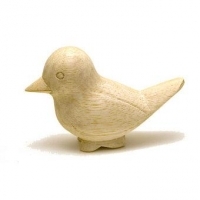 She picks up the carved animal again. I am waiting now. Waiting for a great and glorious reunion. I was at the empty tomb! I saw my Son reborn; in new flesh still marred with the scars of his atonement. He walked among us for days and then bid us goodbye to become one with his Father. I miss him greatly whenever I touch this table or hear this stool scrape across the stones. She closes her eyes, holds the toy animal to her face and inhales as if remembering. She opens her eyes and begins to talk. Every now and then, I catch a glimpse of Him out of the corner of my eye or smell his fragrance on a chance breeze for His is the breath of life; His is the everlasting water; His is the Life eternal to give to us all. I have had a good life. I have had a life no mother could ever have imagined. It all started with an angel visit and it will end with my Son coming for me. He will welcome me into His arms only I will not embrace Him. 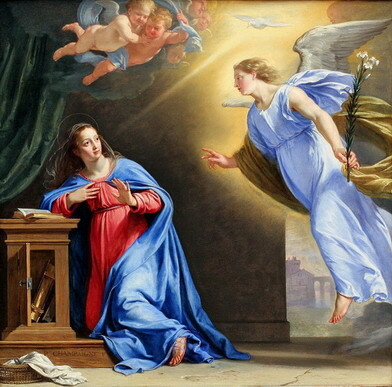 Mary falls to her knees and kneels as if at the feet of Christ, looking up in wonder. No, I will fall at His feet in worship and praise for my son who was born to die, died so that we might liver forever!